Choosing a domain name is one of the hardest and most important decisions a business will ever have to make. The registration of a domain name is a vital step for all businesses and organizations. Having your own unique store domain name, will help boost your brand’s recognition and make a name for you as an authentic business company and adds a high level of trust. Offer domain names that your customers want. LuxCloud provides a user-friendly and affordable Domain Name Registration service; all major TLDs and ccTLDs are available. The LuxCloud Domain Name Registration service includes URL and email forwarding, domain transfer lock and DNS management. Offer the most popular top level domain names. Protect domain from unauthorized domain transfers. Affordable domain name registration service. Retain complete control over DNS records. Forward emails to another valid email address. 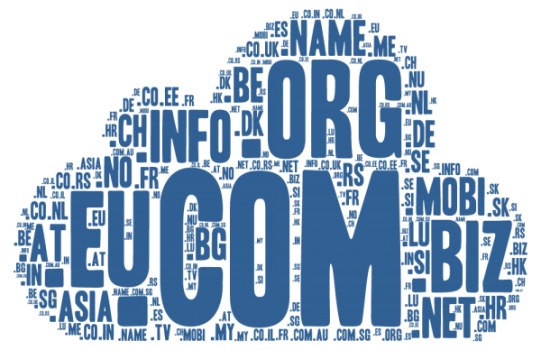 LuxCloud provides a user-friendly and affordable Domain Name Registration service; all major TLDs and ccTLDs are available. The Domain Name Registration Product Sheet provides information about product benefits, domain name registration features and target market information. Every time you register a domain name, your name, address and phone number are entered into a public database that can be viewed and used by anyone. This exposes your personal information to spammers, telemarketers and other undesired third parties. There is a way to protect your personal information. Domain Privacy service allows you to retain your domain name without having to expose your personal information to the public. Keep your anonymity and retain legal ownership of your domains. Protect against the risk of identity theft and domain hijacking. Minimise junk mail, spam and scams by using a proxy email address. No more annoying marketing phone calls when you use a proxy phone number. Avoid non-compliance and domain deletion by using our approved and regulated domain privacy. 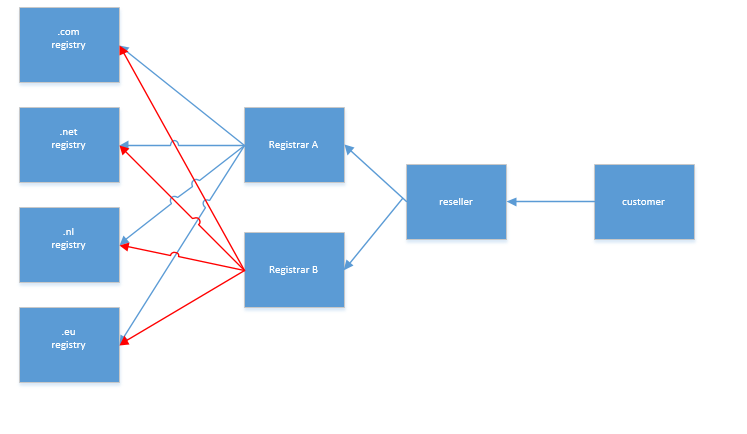 How does a customer transfer a domain away from a registrar used by LuxCloud? This is not automated, so must be handled by opening a ticket and giving the name of the domain to be transferred. The transfer key (AuthCode) LuxCloud obtains from the registrar will be passed to the reseller via the ticket. This key will be required by the new registrar as authorisation for the transfer to occur. Transfer success, or otherwise, should be confirmed back to LuxCloud as it is known that wrong transfer codes are sometimes given by registrars. If an invalid key is provided by the registrar, LuxCloud can challenge for the correct key and have the registrar obtain the correct one from the register organisation. A cancellation order for a LuxCloud domain registration subscription should not be made until after the transfer is complete or the domain will be cancelled with the current registrar. If implemented by the registrar, the cancelled domain will be quarantined for a period of time and therefore will not be available for registration elsewhere (while quarantined, domains can however be ‘redeemed’ back to regular status). How does the domain privacy work? Every time you register a domain name, your name, address and phone number are entered into a public database that can be viewed and used by anyone. This exposes your personal information to spammers, telemarketers and other undesired third parties.There is a way to protect your personal information. Domain Privacy service allows you to retain your domain name without having to expose your personal information to the public. How to cancel a domain registration? Cancellation of a domain registration is made by placing a cancellation order for the domain registration subscription in question. This will initiate the cancellation with the registrar of the domain. Confirmation of the cancellation to the domain administrative contact and the registrar will be provided by the register organisation. If implemented, the domain name will be placed in quarantine for a period of time and during which it can be reactivated (redeemed). If not, the domain will be immediately available for re-registration. Can you help me with a domain name transfer? LuxCloud supports the technical process of transfer of domains. The administrative process however requires the customers involvement and cannot be outsourced. To know more about domain transfers and how to transfer please check out this document. LuxCloud is utilizing the domain services from EuroDNS. If you're customer wants to transfer a domain name to our platform, you might need an authorization code (also known as a transfer key) from the current registrar. A registry is the organization that manages and runs a so called top-level domain (so .com, .net, .eu etc.). normally end-users do not directly interact with a registry but with a registrar that offers more then just one top-level domain. A registrar is an intermediate to multiple registries. Some registrars display the authorization code in your account with them, while others email it upon request to the administrative contact's email address for your domain name. Contact your current registrar to get your authorization code. A list of accredited registrars world wide can be found here.